Times are tough in magazine land! Ad pages are dropping, magazines are folding, Newsweek is just a pile of bones and vitamin cover stories bleaching in the noonday sun, etc. You know the drill. So there's a little practice that's become very popular in magazine land over the last couple of years that's as sad as it is understandable: If you're an editor or publisher, you get your magazine voted near the top of an internet poll. It won't matter much, but every little bit counts—even for an ESPN property. Doesn't look like it's changed much. As of this writing, the "Best publication for the sports nut" poll does have SI at a considerable lead. And what about the magazine competition that actually matters? Sports Illustrated is down 3 percent in ad pages for the year, which isn't great but beats the industry average decline of 8 percent. 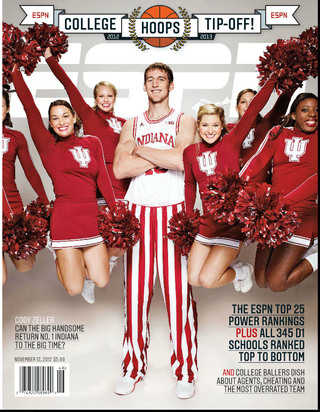 Meanwhile, ESPN The Magazine? In its first full year after relocating to Bristol from New York, ad pages are down 27 percent.